Warning: After Jan 21 2015, WhatsApp has suspended accounts of some WhatsApp plus user. Using third-party application is against their t&c. So use WhatsApp plus at your own risk. Everyone love WhatsApp. It’s the most popular messenger app, that lets you send messages with no extra cost. Like many others, I am also a big fan of WhatsApp and have published many article on it. But today, we will talk about WhatsApp plus. There is little or else outdated information about it on the web. 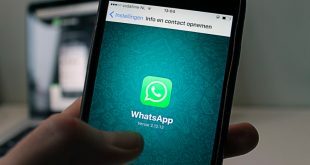 Therefore in this article, I will try to answer questions like what exactly is WhatsApp plus, how it is different from original WhatsApp, how and why you should install it. What exactly is WhatsApp plus? Developed by senior xda member- Rafalete, WhatsApp plus is a modified version of original WhatsApp. Basically, the developer had made some changes in the UI and added some extra functionalities. 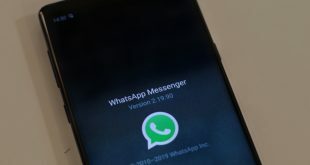 However it still uses the similar license and protocol like WhatsApp. Back in 2012, WhatsApp plus was available on Play Store. But soon after a DMCA takedown from WhatsApp, it was removed. The internal structure of WhatsApp plus and WhatsApp are same. Therefore it safe to assume that WhatsApp plus is secure. However, if you send private messages (that you will never want to go public), then it’s better to avoid it. I suggest you check out following video, on WhatsApp plus review. WhatsApp plus can only be installed after you uninstall WhatsApp. Unlike popular believe, you don’t have to root your Android. 1. Take the backup of your WhatsApp conversation, and then uninstall original WhatsApp. 2. Download WhatsApp plus apk from here* and install it like you normally install WhatsApp. And that’s it. *Link remove due to legal issue, please Google it. How WhatsApp is different from WhatsApp plus? 1. 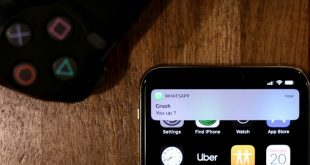 You can customize every bit of your WhatsApp UI, This include changing color & size of header, pop-up notification, widgets, conversation screen etc. Most noticeable difference is, pre-build themes, WhatsApp plus has more than 2k themes. 2. You can customize the media sharing. For instance, you can send files greater in size and without loss of image quality. This is helpful for university students to shared classroom notes. 3. And really awesome feature of Whatsapp Plus is – you can hide your online status. Not only this, WhatsApp plus have single tick option, which shows single tick to the sender, even when the message is received and read. WhatsApp plus is similar to WhatsApp but with more options. Use it, if you want to hide your online status, send images without compression. Aare you planning to install WhatsApp plus or would wait for original WhatsApp to introduce them? Let me know, in the comment below. Related: Can WhatsApp be hacked ? Next Forget to log out of your Google account! What next ?